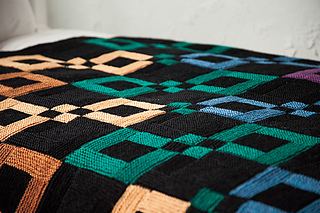 The squares of this modular blanket are worked in a modified log cabin design. The squares are knit separately and then sewn together. 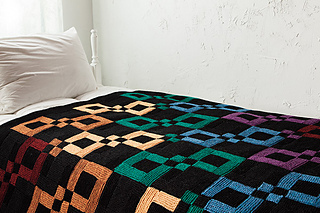 The body of the throw is surrounded by a solid colored edging that is constructed like the blanket squares. 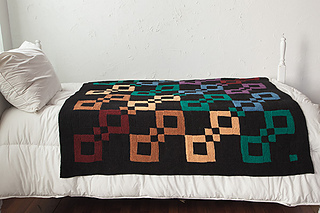 Worked in a 100% wool yarn, this throw will everyone toasty on cold winter days.